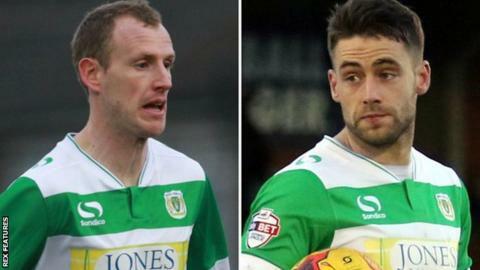 Midfielders Marc Laird and Jack Compton are among 10 players to be released by Yeovil Town at the end of the season. Former Premier League striker Leroy Lita, who made eight Yeovil appearances since signing in March, is also one of those leaving the League Two club. Omar Sowunmi, Artur Krysiak, Ben Tozer, Nathan Smith, Ryan Dickson and Francois Zoko have all been offered new deals. Chris Weale, Simon Gillett, Wes Fogden, Jakub Sokolik, Mark Beck, Shaun Jeffers and Jordon Gibbons are also leaving. Darren Way's Glovers finished 19th in League Two this season, 14 points above the relegation zone.